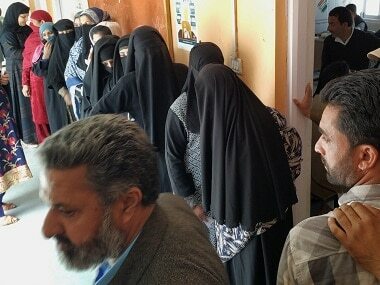 Uri: While the recent elections in Kashmir have been marred by violence or low voter turnout, Uri in the poll-bound north Kashmir's Baramulla constituency saw long queues of voters exercising their franchise. This border town has been at the forefront of hostilities between India and Pakistan. Residents said they are voting for a "sense of security and bunkers" for the residents living along the Line of Control. 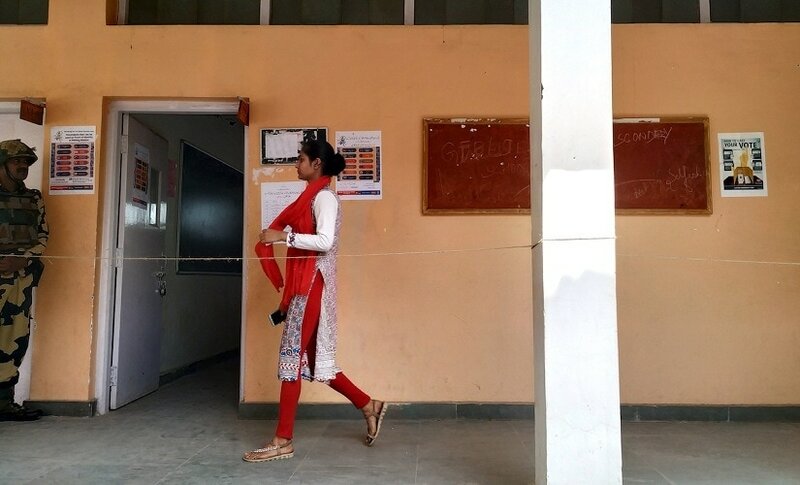 Jaswinder Kaur, a BEd Student, walked into the Uri-A polling station along with her mother. The mother-daughter duo affirmed that they won't waste their vote as it was a 'sin'. 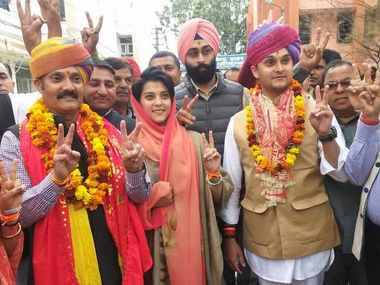 "We are voting for the development of Uri and better security," said Kaur, "It is a sin not to cast one's vote, so I decided to go to the polling station with my mother." Despite continuous calls for a boycott, the Sikhs of Uri on Thursday voted in droves, much against the wishes of its community leaders who had called for a boycott over the government's apathy towards the community. Weeks before the Lok Sabha election was to be held, the chairman of the powerful All Parties Sikh Coordination Committee, Jagmohan Singh Raina, had warned New Delhi that he would push the community to boycott the polls. He had accused New Delhi of failing to pay heed to the long-pending demands of extending the 'Minority Community Act' to the state and the introduction of the Punjabi language in schools and colleges. Dalbir Kaur, the mother of Jaswinder, who stood in a line to vote in Uri, said that despite living in Kashmir for the past three decades, she never felt any kind of discrimination or joblessness among Sikh youths. "Kashmiri Sikhs," she said, "are the most prosperous among all the minority community, so why should we waste the vote?" Her sentiment was echoed by Jitender Singh, a driver, who said the community members had come to vote for the development of the region. "We want the government to build more bunkers which will give us a sense of security and prevent senseless bloodshed," he said. Last year, Jammu and Kashmir witnessed 2,936 instances of ceasefire violations by Pakistan, the highest in the past 15 years. On average, eight cases of ceasefire violations were reported every day in 2018, in which 61 people were killed and over 250 injured. The number of ceasefire violations by Pakistani troops in 2018 were over three times that of 2017, when 971 cases were reported. In 2017, 31 people including 12 civilians and 19 security forces personnel were killed while 151 persons suffered injures, PTI reported. For thousands of border residents in these areas, bunkers are the lifeline during the hours of uncertainty when the armies of India and Pakistan exchange fire. At least 40 villages in this border town come under fire from the Pakistani side. Despite this, in the past four years, residents said not much progress was made in securing the lives of the citizens and not even a dozen new bunkers were built along this part of the Line of Control. "I am voting for Engineer Rasheed," said Faiza Raja, who travelled from Dubai to cast her vote. "I have never heard a parliamentarian from Kashmir making any noise in Parliament about our issues. Only this man can do that," said Faiza as she stood in queue with her two sisters, who had come from other parts of the country to cast their vote. 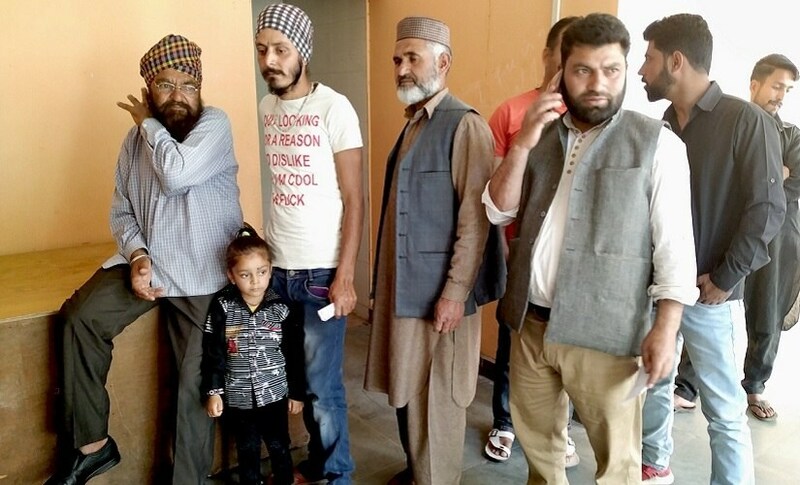 They openly said they are voting for the firebrand Independent legislator Engineer Rashid, who has emerged as a popular candidate among the youth of north Kashmir. The Baramulla parliamentary constituency, spread over 15 Assembly segments in three districts of Baramulla, Kupwara and Bandipora has an electorate that is predominantly Muslim — with a small minority of Sikh voters concentrated in and around Baramulla town, who are an influential bloc of voters and have never boycotted polls despite calls for the same by separatists in the past. After the migration of Kashmiri Pandits from the Valley in the early 1990s, Sikhs are the only sizable minority in the region. The contest on the Baramulla parliamentary constituency was between National Conference's Mohammad Akbar Lone and Peoples Conference's Raja Aijaz, but Rasheed has emerged as a dark horse. The former MLA from Langate constituency was never considered a serious candidate, but this election may spring a surprise. The seat was earlier held by Muzafar Hussain Beg of the PDP. The entry of the Peoples Conference candidate, Raja Aijaz Ali who belongs to Uri, has posed challenges for the National Conference. Kashmir has Sikh population of 3.2 lakh with around 80,000 living in Kashmir. All those who voted in Uri said they are supporting Rasheed. By 3 pm, officials said over 30 percent votes were polled in Baramulla constituency with Kupwara district leading the show with 40 percent polled votes. There is a total of 13,12,148 voters and 1,749 polling stations. "After (former IAS officer Shah) Faesal threw his weight behind Rasheed, his popularity among the youth had only grown. In fact, the tacit support has encouraged many youngsters to come out to vote. It will be a closely-fought contest," said Nazir Ahmad, a retired teacher from Uri, "Even if he doesn't win he has emerged as forces to reckon with." 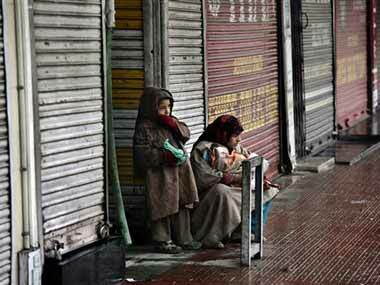 The Kashmir Valley witnessed a complete shutdown as the Baramulla parliamentary constituency went to the polls. In the Valley, all shops, educational institutes and business establishments remained closed. Traffic was missing from the roads. 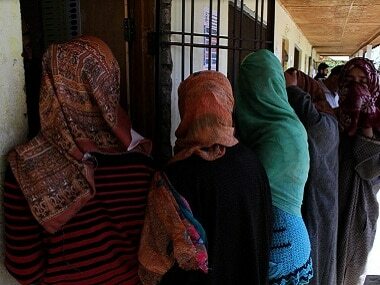 However, polling was reported from all the far-flung areas without any incidents of violence. "Our demands for bunkers have not been meet in the past five years. We need at least 1,000 bunkers in 40 villages of Uri, but the government has not built them, leaving the entire population in the region venerable," said Sajad Shafi Uri, the National Conference leader from Uri, "People want a representative who will talk about bunkers in Parliament. When Delhi can construct bunkers in Jammu, why not in Uri? Are we not part of India?"